The 87th Academy Awards ceremony, presented by the Academy of Motion Picture Arts and Sciences (AMPAS), honored the best films of 2014 and took place on February 22, 2015, at the Dolby Theatre in Hollywood, Los Angeles beginning at 5:30 p.m. PST / 8:30 p.m. EST. During the ceremony, AMPAS presented Academy Awards (commonly referred to as Oscars) in 24 categories. 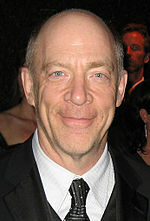 The ceremony was televised in the United States by ABC, produced by Neil Meron and Craig Zadan and directed by Hamish Hamilton. 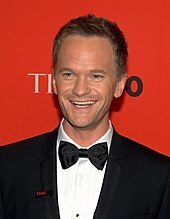 Actor Neil Patrick Harris hosted the ceremony for the first time. 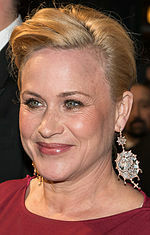 In related events, the Academy held its 6th Annual Governors Awards ceremony at the Grand Ballroom of the Hollywood and Highland Center on November 8, 2014. On February 7, 2015, in a ceremony at the Beverly Wilshire Hotel in Beverly Hills, California, the Academy Awards for Technical Achievement were presented by hosts Margot Robbie and Miles Teller. Birdman or (The Unexpected Virtue of Ignorance) and The Grand Budapest Hotel each won four awards, with the former film earning the Best Picture honor. Other winners include Whiplash with three and American Sniper, Big Hero 6, Boyhood, Citizenfour, Crisis Hotline: Veterans Press 1, Feast, Ida, The Imitation Game, Interstellar, The Phone Call, Selma, Still Alice, and The Theory of Everything with one. The telecast garnered more than 37 million viewers in the United States. The nominees for the 87th Academy Awards were announced on January 15, 2015, at 5:30 a.m. PST (13:30 UTC), at the Samuel Goldwyn Theater in Beverly Hills, California, by directors J. J. Abrams and Alfonso Cuarón, Academy president Cheryl Boone Isaacs and actor Chris Pine. For the first time, nominations for all 24 competitive categories were announced. Birdman or (The Unexpected Virtue of Ignorance) and The Grand Budapest Hotel tied for the most nominations with nine each. The winners were announced during the awards ceremony on February 22, 2015. For the first time since the expansion of the Best Picture nominee roster at the 82nd ceremony in 2010, every Best Picture nominee won at least one award. Birdman was the first film to win Best Picture without an editing nomination since Ordinary People (1980). 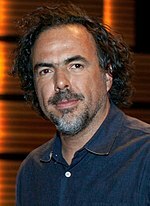 Alejandro G. Iñárritu became the second consecutive Mexican to win for Best Director after Cuarón who won for helming Gravity. At age 84, Robert Duvall was the oldest male acting nominee in Oscar history. 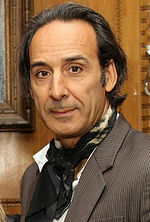 Having won for his work on Gravity the year before, Emmanuel Lubezki became the fourth person to win two consecutive Best Cinematography awards. 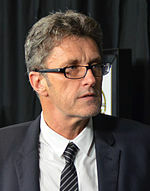 John Toll was the last one who accomplished this feat for his work on 1994's Legends of the Fall and 1995's Braveheart. Jean-Claude Carrière — Whose elegantly crafted screenplays elevate the art of screenwriting to the level of literature. Hayao Miyazaki — A master storyteller whose animated artistry has inspired filmmakers and audiences around the world. Maureen O'Hara — One of Hollywood's brightest stars, whose inspiring performances glowed with passion, warmth and strength. Harry Belafonte — For a lifetime of demonstrating how art is ennobled by ceaseless courage and conscience. Dakota Johnson Introducer of the performance of Best Original Song nominee "Lost Stars"
Marion Cotillard Introducer of the performance of Best Original Song nominee "Everything Is Awesome"
Gwyneth Paltrow Introducer of the performance of Best Original Song nominee "I'm Not Gonna Miss You"
Josh Hutcherson Introducer of the performance of Best Original Song nominee "Grateful"
Octavia Spencer Introducer of the performance of Best Original Song nominee "Glory"
Scarlett Johansson Introducer of The Sound of Music 50th anniversary tribute and the performance of "The Sound of Music", "My Favorite Things", "Edelweiss" and "Climb Ev'ry Mountain"
Neil Patrick Harris hosted the 87th Academy Awards. Riding on the success of the previous year's ceremony which garnered its highest viewership figures in over a decade, the Academy rehired producers Neil Meron and Craig Zadan for the third consecutive year. “Their showmanship has elevated the show to new heights and we are excited to keep the momentum going with this creative partnership,” said AMPAS president Cheryl Boone Isaacs in a press release announcing the selection. In October 2014, actor Neil Patrick Harris, who previously hosted four Tony Awards ceremonies between 2009 and 2013 and two Primetime Emmy Awards telecasts in 2009 and 2013, was chosen as host of the 2015 gala. Meron and Zadan explained their decision to hire the television and theatre star saying, "We are thrilled to have Neil host the Oscars. We have known him his entire adult life, and we have watched him explode as a great performer in feature films, television and stage. To work with him on the Oscars is the perfect storm, all of his resources and talent coming together on a global stage." Harris expressed that it was truly an honor and a thrill to be asked to host Academy Awards commenting, "I grew up watching the Oscars and was always in such awe of some of the greats who hosted the show. To be asked to follow in the footsteps of Johnny Carson, Billy Crystal, Ellen DeGeneres, and everyone else who had the great fortune of hosting is a bucket list dream come true." 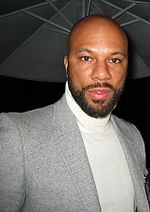 Shortly after his selection, several reports were released indicating that DeGeneres and other comedians such as 2005 ceremony host Chris Rock and actress Julia Louis-Dreyfus declined the offer to host the program, and Harris was a last-minute choice as emcee. Nevertheless, both Meron and Zadan denied such allegations and insisted that Harris was their only choice saying, "After every Oscar show there is always a discussion as to who will host the next one. Many names are discussed and sometimes even floated without there being any formal offers. At times, these casual discussions take on a life of their own, and some are eager to break a story without knowing the facts. Neil Patrick Harris received the Academy’s formal offer." Several other people were also involved with the production of the ceremony. Stephen Oremus served as musical director and conductor for the event. Derek McLane returned to design a new set and stage design for the show. During the ceremony, actor Channing Tatum introduced a group called "Team Oscar", which consisted of six young film students from colleges across the country selected by AMPAS whose role was to deliver Oscar statuettes to the presenters during the gala. Oscar-winning husband-and-wife songwriters Robert Lopez and Kristen Anderson-Lopez composed Harris's opening number entitled "Moving Pictures". Musicians Questlove and Mark Mothersbaugh and actor Will Arnett made cameos during the performance of Best Original Song nominee "Everything Is Awesome". For the first time since 2007, none of the Best Picture nominees had grossed $100 million before the nominations were announced (compared with three from the previous year). The combined gross of the eight Best Picture nominees at the American and Canadian box offices was $205 million, with an average of $25.6 million per film. Of the top 50 grossing movies of the year, 23 nominations went to 13 films on the list. Only Big Hero 6 (9th), How to Train Your Dragon 2 (16th), Gone Girl (17th), and Into the Woods (25th) were not nominated for Best Picture, Best Animated Feature or any of the directing, acting or screenwriting awards. The other top 50 box office hits that earned nominations were Guardians of the Galaxy (1st), Captain America: The Winter Soldier (3rd), The Lego Movie (4th), Maleficent (6th), The Hobbit: The Battle of the Five Armies (7th), X-Men: Days of Future Past (8th), Dawn of the Planet of the Apes (10th), Interstellar (15th), and Unbroken (27th). Shortly after the nominations were announced, many media outlets observed that there was a lack of racial diversity amongst the nominees in major categories. According to Tatiana Segel of The Hollywood Reporter, this was the second time since 1998 that all 20 acting nominees were of Caucasian descent. The New York Times columnist David Carr pointed out the omission of Ava DuVernay and David Oyelowo in directing and lead acting categories. He also noted that these nominations were in contrast to last year's ceremony which included Best Picture winner 12 Years a Slave and Best Supporting Actress winner Lupita Nyong'o. As a result, the Academy was ridiculed over Black Twitter with hashtags such as #OscarsSoWhite and #WhiteOscars. In addition, U.S. Congressman Tony Cárdenas wrote a letter voicing his concern regarding AMPAS and diversity stating, “While the issue of diversity in the entertainment industry is a much deeper problem, without an easy solution, it is unfortunate to see such a revered American institution fail to fully reflect our nation.” He went on to say that he was willing to work with Academy officials in better making the entertainment industry more representative of different ethnicities. In response to criticism about lack of diversity, AMPAS President Isaacs told reporter Sandy Cohen of Associated Press that the Academy was "committed to seeking out diversity of voice and opinion." Despite refraining from commenting whether the organization was embarrassed by the lack of diversity, she stated that she was proud of all the nominees and praised Selma as a "fantastic motion picture." Several days before the awards gala, the National Action Network led by civil rights activist Al Sharpton and several other organization planned to demonstrate near the ceremony at the Dolby Theatre before and during the telecast. However, the protest was canceled in light of DuVernay pleading with civil rights leaders to instead pursue a direct dialogue with Academy leadership. The show received a mixed reception from media publications. The review aggregator Rotten Tomatoes gave the show a 25% approval rating, with an average rating of 6/10, based on 12 reviews. The site's consensus reads, "Awards season pro Neil Patrick Harris is uncharacteristically stilted during a sedate 87th Academy Awards that can't seem to grapple with controversy or execute a decent gag." Some media outlets were more critical of the show. HitFix television columnist Alan Sepinwall commented, "It ran on and on and on and on so much that when host Neil Patrick Harris finally got around to paying off a running gag about his Oscar predictions being locked in a box on stage left, he had to stop to explain the bit to us all over again." In addition, he observed, "Either the production consumed Harris, the writing failed him, or he picked a very strange night to go off-brand." Hal Boedeker of the Orlando Sentinel wrote, "Harris headlined a blah production number to start the show. His running shtick about Oscar predictions grew tiresome." He concluded his review saying, "The music saved this Oscar telecast, but it was still a long, tedious show. The highlight reel will make it look better than it was." Television critic Alessandra Stanley from The New York Times said, "Oscar nights almost always drag on too long, but this one was a slog almost from the very beginning." She also quipped, "The political speeches were somber, but they turned out to be more lively and bracing than any of Harris' skits." Other media outlets received the broadcast more positively. Television critic Matthew Gilbert of The Boston Globe commented, "Neil Patrick Harris was very Neil Patrick Harrisy Sunday night in his first round as Oscars host. He was calm and cheerful and vanilla as usual, always ready with a lightly snarky joke and always eager to jump into a big production number involving old-timey choreography. He’s a pro at hosting, after his Tony and Emmy gigs, and it showed during the ABC telecast in his endlessly relaxed and open energy." He also wrote despite several production gaffes and an uneven pace, the show moved along "with a minimum of pain." The Times-Picayune columnist Dave Walker wrote, "Harris played it like he was basically born to do it—light on his feet working the crowd or at center stage without his pants, winkingly self-deprecating, moving-right-along when his prepared material didn't land (which was too often)—and he now may have a job for life if he wants it." Furthermore, praised the cast and several musical numbers from the show. David Rooney of The Hollywood Reporter quipped, "Harris displayed winning charm and appealing insouciance, sprinkling the gags with moments of self-deprecation." In addition, he remarked that several of the acceptance speeches and musical numbers provided a mix of humor, fun, and sincerity. The American telecast on ABC drew in an average 37.26 million people over it length, which was a 15% decrease from the previous year's ceremony. An estimated 63 million total viewers watched all or part of the awards. The show also earned lower Nielsen ratings compared to the previous ceremony with 20.6% of households watching over a 33 share. In addition, the program scored a lower 18–49 demo rating with an 11.0 ratings over a 26 share. It was the lowest viewership for an Academy Awards telecast since the 81st ceremony held in 2009. In July 2015, the ceremony presentation received eight nominations for the 67th Primetime Emmys. The following month, the ceremony won one of those nominations for Outstanding Technical Direction, Camera Work, and Video Control for a Limited Series, Movie, or Special (Technical Directors: Eric Becker, Rick Edwards, John Pritchett, and Rod Wardell; Cameras: Rob Balton, Danny Bonilla, Robert Del Russo, David Eastwood, Suzanne Ebner, Pat Gleason, Ed Horton, Marc Hunter, Jay Kulick, Brian Lataille, Tore Livia, Steve Martyniuk, Lyn Noland, Rob Palmer, David Plakos, Camera, Jofre Romero, Danny Webb, Mark Whitman, and Easter Xua; Video Control: Terrance Ho, Guy Jones, and Keith Winikoff). The annual In Memoriam segment was presented by actress Meryl Streep. The montage featured an excerpt of the "Love Theme" from Sophie's Choice by Marvin Hamlisch. At the conclusion of the tribute, singer Jennifer Hudson performed the song "I Can't Let Go" from the television series Smash. A^ : American Sniper opened in wide release on January 16, where it became the number-one film at the American box office for three consecutive weekends. The film eventually became the highest grossing film at the American and Canadian box office released in 2014. ^ Mandell, Andrea (October 15, 2014). "Neil Patrick Harris to host the 2015 Oscars". USA Today. Gannett Company. Archived from the original on February 18, 2015. Retrieved March 27, 2015. ^ Bridgman, Alison (February 6, 2015). "Robin Roberts, Lara Spencer, and Michael Strahan To Host 'Oscars Opening Ceremony: Live from the Red Carpet'". ABC News (The Walt Disney Company). Archived from the original on March 26, 2015. Retrieved March 27, 2015. ^ a b Perlman, Jake (April 21, 2015). "Oscars: Craig Zadan and Neil Meron returning to produce 2015 show". Entertainment Weekly. Time Inc. Archived from the original on April 2, 2015. Retrieved February 25, 2015. ^ "OSCARS: Greg Berlanti Named Head Writer For 2015 Awards Telecast". Deadline Hollywood (Penske Media Corporation). Archived from the original on November 25, 2014. Retrieved November 26, 2014. ^ Lowry, Brian (February 23, 2015). "Oscar TV Review". Variety. Penske Media Corporation. Archived from the original on February 23, 2015. Retrieved February 23, 2015. ^ a b Kissell, Rick (February 25, 2015). "Weekly Ratings: Oscars, 'TGIT' Dramas Lift ABC to Biggest Victory in 15 Years". Variety. Penske Media Corporation. Archived from the original on March 31, 2015. Retrieved March 28, 2015. ^ a b "88th Oscars Fact Sheet" (PDF). Academy of Motion Picture Arts and Sciences (AMPAS). Archived (PDF) from the original on January 22, 2016. Retrieved December 1, 2015. ^ Gray, Tim (April 21, 2014). "Craig Zadan, Neil Meron to Produce Oscar Show Again". Variety. Penske Media Corporation. Archived from the original on April 3, 2015. Retrieved March 27, 2015. ^ Pond, Steve (November 14, 2014). "Oscars Producers Recruit Greg Berlanti, Hamish Hamilton and Michael Seligman". TheWrap. Archived from the original on March 29, 2015. Retrieved March 28, 2015. ^ "Neil Patrick Harris To Host The 2015 Oscars". Academy of Motion Picture Arts and Sciences. AMPAS. October 15, 2014. Archived from the original on October 15, 2014. Retrieved October 15, 2014. 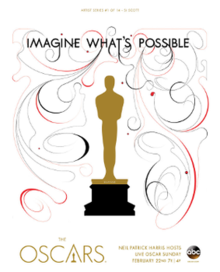 ^ a b "Academy Unveils 2014 Governors Awards Recipients". Variety. Penske Media Corporation. Archived from the original on September 1, 2014. Retrieved September 1, 2014. ^ Smith, C. Molly (January 28, 2015). "Scientific and Technical Awards honorees address the future of filmmaking". Entertainment Weekly. Time Inc. Archived from the original on February 9, 2015. Retrieved January 29, 2015. ^ Burr, Ty (February 23, 2015). "'Birdman' takes flight at Oscars". The Boston Globe. John W. Henry. Archived from the original on March 28, 2015. Retrieved March 13, 2015. ^ Coyle, Jake (February 23, 2015). "'Birdman' soars to major wins". Orlando Sentinel. Nancy Meyer. p. A6. ^ a b Keegan, Rebecca (January 9, 2015). "Oscars 2015: Academy to announce nominations in all 24 categories live". Los Angeles Times. Austin Beutner. Archived from the original on February 24, 2015. Retrieved March 29, 2015. ^ Boedeker, Hal (January 15, 2015). "Oscars: 'Boyhood' soars; big snubs". Orlando Sentinel. Nancy Meyer. Archived from the original on March 28, 2015. Retrieved March 29, 2015. ^ "Partial list of Oscar winners". The Boston Globe. John W. Henry. February 23, 2015. Archived from the original on April 2, 2015. Retrieved March 29, 2015. ^ Brown, Kat (February 23, 2015). "Oscars 2015 winners list in full". The Daily Telegraph. Telegraph Media Group. Archived from the original on March 26, 2015. Retrieved March 29, 2015. ^ Zeitchik, Steven (February 23, 2015). "Success of 'Birdman' signals Inarritu's arrival as film royalty". Chicago Tribune. Archived from the original on November 7, 2016. ^ Hamilton, Matt (February 22, 2015). "Iñárritu calls for 'dignity and respect' for immigrants in Oscar speech". Los Angeles Times. Austin Beutner. Archived from the original on March 17, 2015. Retrieved March 28, 2015. 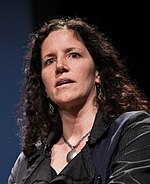 ^ Hoffman, Susan (January 15, 2015). "Oscar nominations: Predictions, surprises and trivia". Kansas City Star. Tony Berg. Archived from the original on August 1, 2015. Retrieved September 20, 2015. ^ Szalai, Greg (February 22, 2015). "Oscars 2015: Emmanuel Lubezki Becomes Second Cinematographer to Win Back–to–Back Honors". The Hollywood Reporter. Prometheus Global Media. Archived from the original on April 3, 2015. Retrieved March 28, 2015. 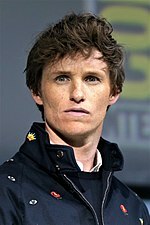 ^ "The 87th Academy Awards (2015) Nominees and Winners". Academy of Motion Picture Arts and Sciences (AMPAS). Archived from the original on February 23, 2015. Retrieved February 23, 2015. ^ "Harry Belafonte, Hayao Miyazaki, Maureen O'Hara to get honorary Oscars". Entertainment Weekly. Time Inc. Archived from the original on March 18, 2015. Retrieved August 28, 2014. ^ a b c d "2015 Memorable Moments". Academy of Motion Picture Arts and Sciences (AMPAS). Archived from the original on September 2, 2015. Retrieved September 9, 2015. ^ Fienberg, Daniel (February 22, 2015). "Academy Awards 2015 Live Blog". HitFix. Archived from the original on February 25, 2015. Retrieved February 25, 2015. ^ a b Burlingame, Jon (February 23, 2015). "Oscar Music Awards Make "Glory"–ous History; Alexander Desplat scores win for Grand Budapest Hotel". The Film Music Society. Archived from the original on April 2, 2015. Retrieved March 31, 2015. ^ Derschowitz, Jessica (October 15, 2015). "Neil Patrick Harris to host 2015 Oscars". CBS News (CBS Corporation). Archived from the original on February 21, 2015. Retrieved February 25, 2015. ^ Schlosser, Kurt (October 15, 2014). "Neil Patrick Harris confirmes in video that he's the next Oscars host". NBC News (NBCUniversal). Archived from the original on April 19, 2015. Retrieved March 27, 2015. ^ "Neil Patrick Harris to Host the Oscars". Variety. Penske Media Corporation. October 15, 2014. Archived from the original on October 15, 2014. Retrieved February 27, 2014. ^ Dawn, Randee (October 22, 2014). "Neil Patrick Harris reportedly not Oscars' No. 1 choice to host—so who was?". NBC News (NBCUniversal). Archived from the original on September 10, 2015. Retrieved March 28, 2015. ^ "Oscar Producers Blast Trade Story That Called Neil Patrick Harris An "Also–Ran" And Not First Choice To Host". Deadline Hollywood. Penske Media Corporation. October 23, 2014. Archived from the original on April 2, 2015. Retrieved February 23, 2015. ^ Lewis, Hilary (November 14, 2014). "Oscars: Greg Berlanti to Serve as Head Writer for Telecast". The Hollywood Reporter. Prometheus Global Media. Archived from the original on March 3, 2015. Retrieved March 28, 2015. ^ Gajewski, Ryan (January 26, 2015). "Oscars: Channing Tatum Announces Contest Winners to Hand Out Awards". The Hollywood Reporter. Prometheus Global Media. Archived from the original on January 30, 2015. Retrieved February 25, 2015. ^ "Oscars ceremony enlists 'Frozen' songwriting team for a Neil Patrick Harris number". Entertainment Weekly. Time Inc. January 27, 2015. Archived from the original on January 30, 2015. Retrieved January 27, 2015. ^ "Oscars: Tegan & Sara, Mark Mothersbaugh, Questlove and More Perform "Everything Is Awesome"". The Washington Post. Fred Ryan. February 22, 2015. Archived from the original on April 1, 2015. Retrieved March 28, 2015. ^ a b c d "2014 Academy Award Nominations and Winner for Best Picture". Box Office Mojo (Amazon.com). Archived from the original on January 30, 2015. Retrieved January 17, 2014. ^ Lang, Brett (January 15, 2015). "Oscar Best Picture Nominees Are Box Office Lightweights". Variety. Penske Media Corporation. Archived from the original on April 2, 2015. Retrieved March 30, 2015. ^ McClintock, Pamela (January 15, 2015). "Oscar Box Office: 'American Sniper,' 'Imitation Game,' 'Selma' Poised for Bump". The Hollywood Reporter. Prometheus Global Media. Archived from the original on April 26, 2015. Retrieved March 31, 2015. ^ "2014 Domestic Grosses (as of January 15, 2015)". Box Office Mojo (Amazon.com). January 17, 2015. Archived from the original on February 26, 2014. Retrieved January 17, 2015. ^ Lang, Brett (January 15, 2015). "Oscar Nominations Expose Academy's Lack of Diversity". Variety. Penske Media Corporation. Archived from the original on April 6, 2015. Retrieved April 1, 2015. ^ Zeitchik, Steven; Ali, Lorraine (January 16, 2015). "Oscars 2015: Diversity is the biggest nomination snub". Los Angeles Times. Austin Beutner. Archived from the original on March 17, 2015. Retrieved March 31, 2015. ^ Vincent, Alice (January 16, 2015). "And the Oscar winner is... a white, middle–aged man". The Daily Telegraph. Telegraph Media Group. Archived from the original on February 13, 2015. Retrieved April 1, 2015. ^ Segel, Tatiana (January 15, 2015). "Oscars: Acting Nominees All White". The Hollywood Reporter. Prometheus Global Media. Archived from the original on March 25, 2015. Retrieved March 31, 2015. ^ Carr, David (January 18, 2015). "Why the Oscars' Omission of 'Selma' Matters". The New York Times. Arthur Ochs Sulzberger, Jr. Archived from the original on May 19, 2017. ^ Alexander, Bryan (January 16, 2015). "White, male field spurs Oscars diversity backlash". USA Today. Gannett Company. Archived from the original on February 26, 2015. Retrieved March 31, 2015. ^ Yamato, Jen (January 15, 2015). "Did Academy Award Nominations Deserve #WhiteOscars Outrage?". Deadline Hollywood. Penske Media Corporation. Archived from the original on March 26, 2015. Retrieved March 31, 2015. ^ Johnson, Ted (February 17, 2015). "Congressman Challenges Film Academy on Lack of Diversity in Oscar Nominees". Variety. Penske Media Corporation. Archived from the original on April 2, 2015. Retrieved April 1, 2015. ^ a b Cohen, Sandy. "Oscars 2015: Film academy president responds to firestorm over lack of diversity". The Post-Standard. Advance Publications. Archived from the original on April 2, 2015. Retrieved April 1, 2015. ^ Patten, Dominic (February 19, 2015). "Oscars: Al Sharpton–Led Activist Group Planning Protest Sunday". Deadline Hollywood. Penske Media Corporation. Archived from the original on March 28, 2015. Retrieved April 1, 2015. ^ Gilman, Greg (February 22, 2015). "Oscars Diversity Protest Called Off at 'Selma' Director Ava DuVernay's Request". TheWrap. Archived from the original on March 29, 2015. Retrieved March 31, 2015. ^ "The Academy Awards: 87th Oscars (2015)". Rotten Tomatoes. Archived from the original on April 4, 2019. Retrieved April 4, 2019. ^ " "Bloated Oscar telecast gets in way of terrific Oscar ceremony—Bad jokes, too many musical numbers, but lots of great speeches". HitFix. February 23, 2015. Archived from the original on February 25, 2015. Retrieved February 26, 2015. ^ Boedeker, Hal (February 23, 2015). "Oscars: Best, worst moments". Orlando Sentinel. Nancy Meyer. Archived from the original on April 2, 2015. ^ "Oscars 2015: Passionate Speeches, but Few Surprises". The New York Times. Arthur Ochs Sulzberger, Jr. February 23, 2015. Archived from the original on February 26, 2015. Retrieved February 26, 2015. ^ Gilbert, Matthew (February 23, 2015). "Harris turns on the charm, takes off his pants". The Boston Globe. John W. Henry Company. Archived from the original on March 28, 2015. Retrieved March 28, 2015. ^ Walker, Dacve (February 23, 2015). "Neil Patrick Harris, handed tough Oscars–hosting task, opened strong". The Times-Picayune. Advance Publications. Archived from the original on March 31, 2015. Retrieved March 28, 2015. ^ Rooney, David (February 23, 2015). "The 87th Annual Academy Awards: TV Review". The Hollywood Reporter. Prometheus Global Media. Archived from the original on March 28, 2015. Retrieved March 28, 2015. ^ Boedeker, Hal (February 24, 2015). "Oscars: 'Birdman' flies ratings don't". Orlando Sentinel. Nancy Meyer. Archived from the original on March 28, 2015. Retrieved April 1, 2015. ^ Patten, Dominic (February 24, 2015). "Final Oscar Ratings: Demo Stays Lowest Since 2008, Viewership Worst Since 2009". Deadline Hollywood. Penske Media Corporation. Archived from the original on March 30, 2015. Retrieved March 28, 2015. ^ Levin, Gary (February 24, 2015). "Shine is off Oscar as ratings drop for big trophy shows". USA Today. Gannett Company. Archived from the original on February 26, 2015. Retrieved March 28, 2015. ^ Kilday, Gregg (July 16, 2015). "The Oscars Broadcast Picks Up Eight Emmy Noms". The Hollywood Reporter. Prometheus Global Media. Archived from the original on October 24, 2015. Retrieved September 15, 2015. ^ "Creative Arts Emmys 2015: Full Winners List". Variety. Penske Media Corporation. September 13, 2015. Archived from the original on September 13, 2015. Retrieved September 15, 2015. ^ Littleton, Cynthia (February 22, 2015). "Oscars: Joan Rivers Left Out of In Memoriam Tribute". Variety. Penske Media Group. Archived from the original on February 25, 2015. Retrieved February 25, 2015. ^ Morgan, David (February 23, 2015). "Oscars 2015: In memoriam honors Robin Williams, Lauren Bacall". CBS News (CBS Corporation). Archived from the original on February 23, 2015. Retrieved February 24, 2015. ^ "Jennifer Hudson In Memoriam performed Smash's "Can't Let Go"". Billboard. Prometheus Global Media. Archived from the original on February 23, 2015. Retrieved February 23, 2015. ^ Cunningham, Todd (February 1, 2015). "'American Sniper' Breaks Miley Cyrus' Super Bowl Record at Box Office". TheWrap. Archived from the original on March 23, 2015. Retrieved March 28, 2015. ^ Bacle, Ariana (March 8, 2015). "American Sniper becomes highest grossing 2014 release". Entertainment Weekly. Time Inc. Archived from the original on September 24, 2015. Retrieved March 28, 2015. Wikimedia Commons has media related to 87th Academy Awards. This page was last edited on 10 April 2019, at 06:19 (UTC).